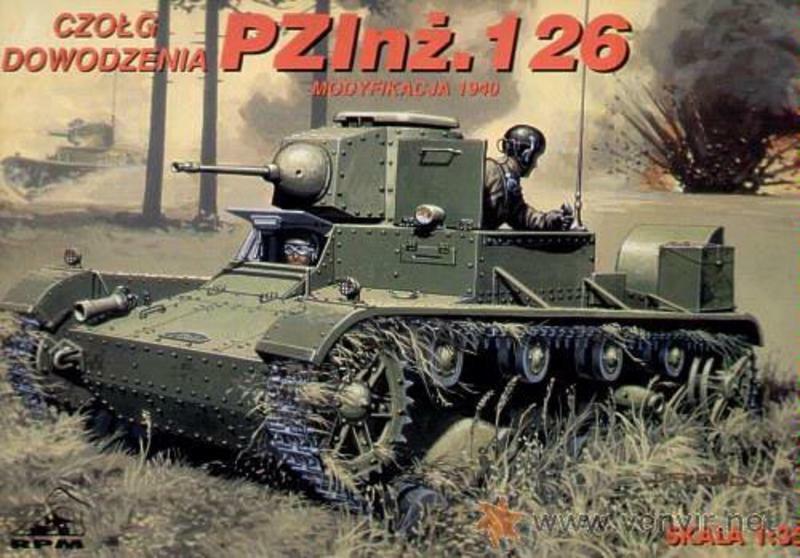 Here it is my second 1/35 review, this time an obscure Polish tank. A nice and affordable kit, or a pointless Polish rarity? Find out! BOX ART >> Interesting, in action and giving a nice sensation. It maybe looks a bit different from the real thing (or maybe the model is what isn't right, I don't know as I havent been able to see a real pic of this vehicle). The kit is well done, without flash, and with good amount of detail. The problem comes with the assembly. It seems that after doing the zillionesime version of a Vickers/Tankietka and all the endless combinations, they end up confusing themselves, and in consequence, you are given many pieces that you are not told where to glue, and no, they are not from another version, as you could think. So you will have to follow the artwork, my model or any other model you can find on the net rather than the instructions, as finding a wartime pic of this exact version can prove impossible. You could really forget the instructions and just follow the artbox, as they normally just add confusion. Some of the small details are a bit too thick, and expert modellers would probably substitute them by plasticard or photoetched pieces. The tracks are of very good quality, of a very elastic rubber, that it seems you could fit a motor and make them run, as all the wheels can be made to turn. (if you try it, be sure to make a video and show it to us!). In the world of 1/35, extras are usually rare, and many times sold separately, such as boxes, petrol cans, tank crews, etc. But at least one driver would have been nice to get. As always with RPM, nothing besides the strict model (and maybe missing some small detail). Green as the box, or camouflaged as my model, that is probably it , as there were few examples of this type. What you could do is modify it into another of the countless sub-versions and modifications of Vickers, although you would only use the body, and RPM and Mirage hobbies have nearly exhausted all versions, but I bet there are some still to make, like the Finnish modifications, and ammunition carrier versions. Not too easy to find. At first when they appeared in model shops they were quite expensive, now many rest waiting a buyer at very reasonable prices. I got mine for just 8,99 €, which for a 1/35 tank as big as this is pennies, and I think that in most model shops it isn't more expensive than 12 € or so. By eBay you will have to be alert to find it, but for example, at the time of this review one is selling for 15 GBP shipped.